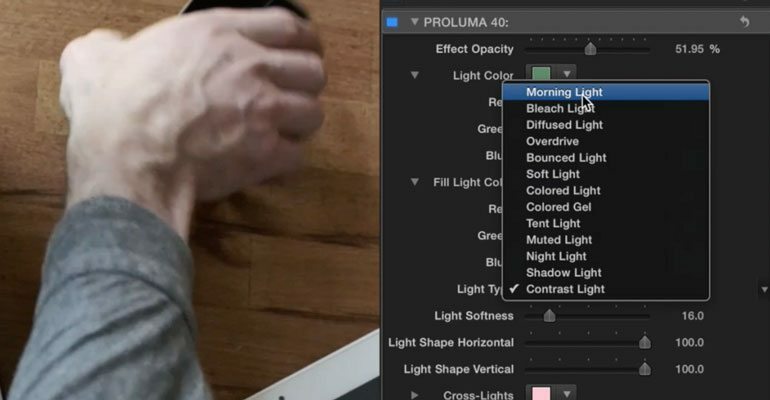 Extract the light out of your image and manipulate it in Final Cut Pro X with ProLuma from Pixel Film Studios. This collection of 50 light control presets gives you total control over the color and quality of the light in your scene. 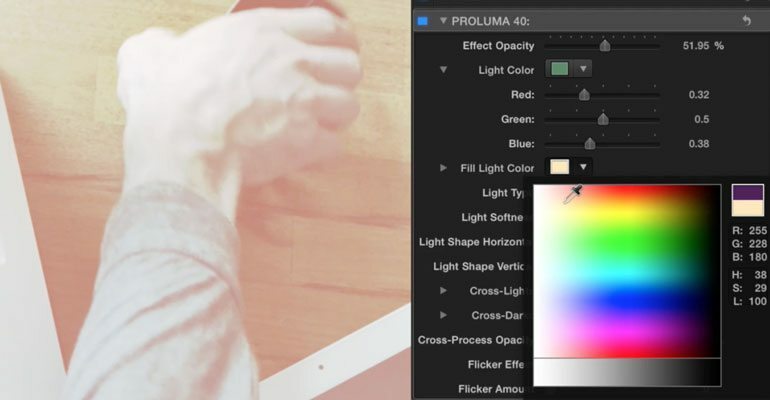 ProLuma doesn't composite a lighting effect over your footage; it works with the light in your footage! Learn how to extract the light out of your image and manipulate it with the ProLuma lesson from Pixel Film Studios. Let’s begin with setting up your FCPX timeline. 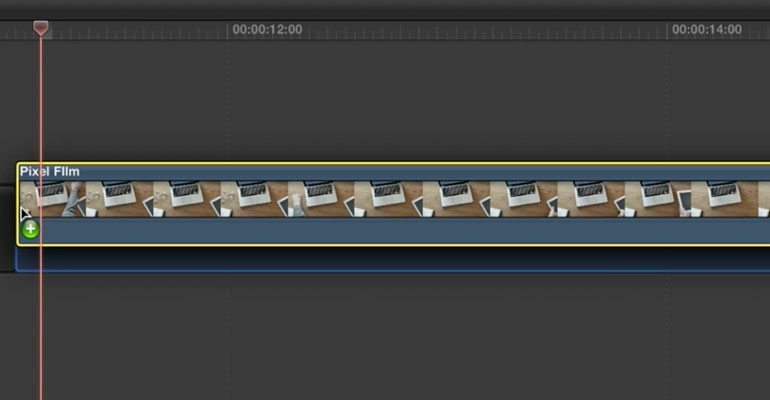 First select your media from the FCPX library and drag it to the timeline. After that locate ProLuma in the effects library and drag it directly on top of your media. For this example we will be using effect number 40. Once you have your timeline set up, Let’s customize the color of our light. Go to the Inspector Window. The Effect Opacity is going to be the first and last thing that you check when using this preset.Pick a Light color and Fill Light color that best suits your style, Clicking the drop down arrow on the left will allow you to control the Reds, Greens, and Blues in both Light color and Fill Color so you can get the exact look you want. Next let’s choose our light type. ProLuma comes with 13 light options to choose from. Think of these different looks as blend modes. The 3 sliders below, which are Light Softness, Light Shape Horizontal, and Light Shape Vertical, control the Fill Light color and Light type that you have chosen. The adjustments you make will be very subtle but will make all the difference in your final look. After that you have your Cross-Lights and Cross-Darks. 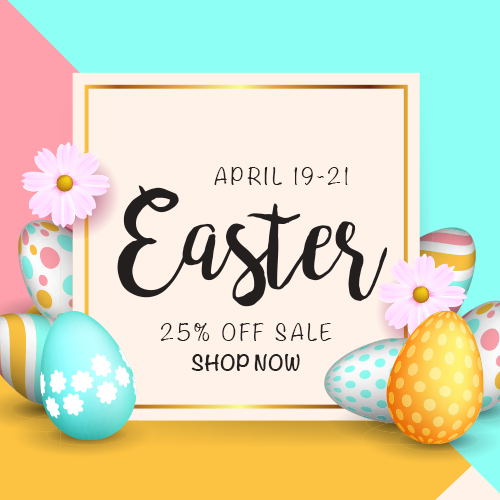 Consider these as overlays to your adjustments you previously made. You can also control the Reds, Greens, and Blues in the colors you selected. The cross-Process opacity controls how strong your cross-lights and cross darks come through. Now, for some Final Touches. 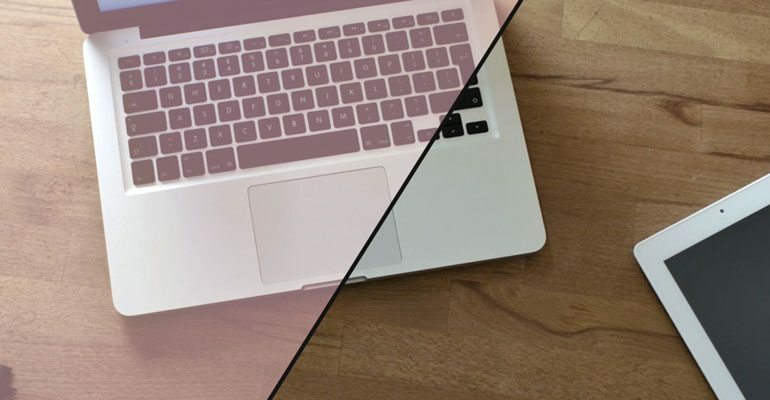 To give your media a little extra you can use the Flicker Effect and Flicker Amount sliders. In order for the Flicker controls to work, you must have your Cross-Process Opacity turned up. Where do I find ProLuma? Once the installation is complete, you can find ProLuma in the FCPX effects library.